One of the key business challenges facing marketers is to change attitudes – either towards a brand or sometimes even an entire category. In this case, it’s the critical need for healthcare marketing strategy teams to change attitudes and behaviors about a crisis that takes 72,000 U.S. lives per year. I was invited to a private screening of Beautiful Boy last week, from a wonderful organization called safehealthymorris.org. 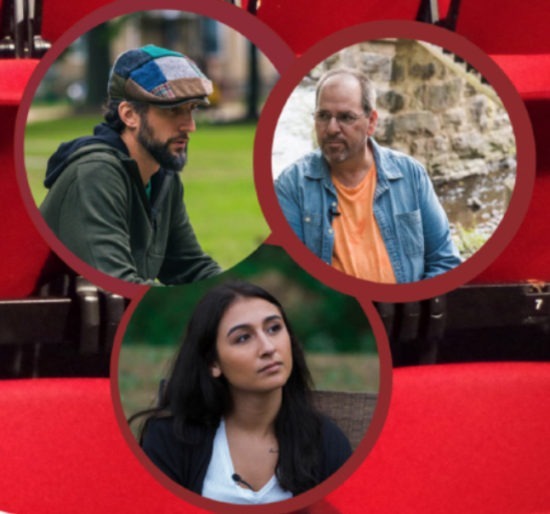 The movie chronicles the heartbreaking and inspiring experience of survival, relapse, and recovery in a family coping with addiction. While I don’t know for sure, I think I was invited given the significant healthcare marketing strategy work that Trajectory does across the state of New Jersey. It was an unforgettable evening. Because while I’m well aware of the opioid overdose crisis (you can read more here from the National Institute on Drug Abuse), this evening heightened my sensitivity to the fact that opioid addiction doesn’t discriminate. The drug doesn’t care about your socioeconomic status, your ethnicity or your level of education. This evening also heightened my commitment for our firm to do whatever we can to help combat it. Picture yourself walking into a movie theater. This one with a capacity of approximately 300 seats. Nearly all of them filled. Before the movie, a leader from Community Coalition for a Safe & Healthy Morris asks how many people know someone suffering from opioid addiction. Nearly everyone raises their hands. She then asks how many people have lost someone to opioid addiction. Just about the same number of hands. This is just one tiny theater of 300 people. Yet nearly all have experienced (are experiencing) the devastating pain of addiction. It really brought to life for me this stark reality – of the record 72,000 deaths caused by drug overdoses in this country last year, more than two-thirds involved opioids. This means that drug overdoses in 2017 killed more people than guns, car crashes, or HIV/AIDS ever killed in a single year in the U.S. The leader of the organization then introduces three speakers (pictured above) – people just like you and me – who talk about the “first-hand” impact of the opioid addiction crisis on their lives. The first of whom was a 40-something gentleman who played hockey in college and was pursuing a career in music. Who always felt like there was a void in his life – which was only filled by opioids. And who nearly lost his ongoing battles with drugs, if not for his father who found him on the bathroom floor in the airport (en route to yet another rehab facility). He’s now a few years clean, and a rehab counselor shuttling back and forth between Boston and New Jersey. The second speaker was a devastated, yet courageous dad who read a beautiful (yet tragedy-ridden) poem written by his beautiful young daughter. Who tragically lost her battle to addiction. Who said that he never in his lifetime imagined that he would be standing in front of an audience reading a poem from the daughter he lost. He was us. And she was us. The third speaker, a beautiful young woman named Molly, confessed to being a bit uncomfortable in front of an audience. So instead of speaking, she was going to sing a song called “Dancing In The Sky.” Because it reminded her of her brother and her dad – both of whom she lost to drugs. She on the other hand, has been clean for some time now. Here’s the song. Listen to it and imagine you’re sitting with 300 other people, listening to the beautiful voice of Molly pouring her heart out. Here’s the powerful first verse and the pre-chorus, in case you want to continue reading on. You’ll get the idea and feel what it must have been like in the theatre. Is it peaceful is it free like they say? Listening to the three speakers, a few things became even more clear. People don’t want to burden and do harm to their friends and families. They don’t want to lose their jobs. They don’t want to go to prison. They don’t want to spend their waking moments thinking of ways to chase down a drug — just to feel okay for a few minutes or hours. This is something that, for whatever reason, has afflicted them. And they can’t find their way out of the rabbit hole. The three speakers were followed by Beautiful Boy. It’s a tough movie. And when it ended and the lights came up, the room was filled with a combination of sadness, love, hope and togetherness. It was a heavy evening. But one that I’m so glad I was a part of. For Trajectory, we’ll volunteer to put our healthcare marketing strategy skills to work for clients in a couple of ways. First, we’ll help however we can to reduce the stigma of addiction, which can be a barrier to treatment. To persuade people not think of addiction as a moral failure, as has been ingrained in our thinking, but as a real medical problem. Second, we’ll try to help close the gap between lives lost and lives saved by raising awareness of Naloxone (also known as Narcan), the medication that rapidly reverses opioid overdose in an emergency situation. If you’re fighting the opioid addiction battle, our healthcare marketing agency would like to help. Reach out for a conversation.